Prime your space torpedoes and fuel your rockets for a Haiku competition that is out of this world. 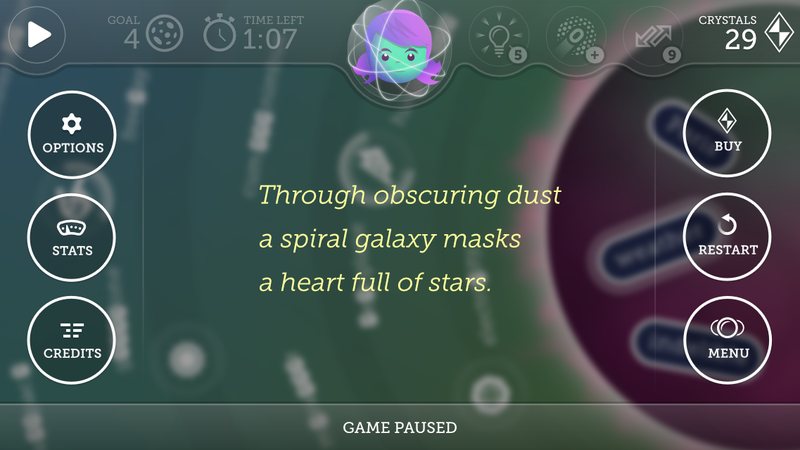 Winning haiku will be read by hundreds of thousands of players during pauses in a word game app. To submit: Please go to the haiku submission form. INVITING poets of every species to submit space-themed haiku. You can write about anything galactic, from the serenity of deep space, to the fury of meteors, to the whirring of a space probe, to the icy chill of a comet. JUDGING will be conducted by a panel of published haiku poets (David Oates and Nicholas Sola). A 5-7-5 format is not required. SUBMISSIONS will be accepted through April 30, 2019. There are no limits on the number of submissions. AWARDS of $150, $100, and $50 will be presented to the top three submissions (maximum of one cash award per poet). ATTRIBUTION will be displayed within the credits of the app (along with other artists, musicians, programmers, and game designers). Accepted haiku will appear similar to the example at right. This game is the culmination of a multiyear effort. Our team’s apps have previously been featured by Apple in the App Store, and we anticipate that this game will also be featured by Apple. The game will be free-to-download, and we therefore anticipate a large player base. With gaming and reference apps, IDEA is pushing the boundaries of word apps in smart new directions. 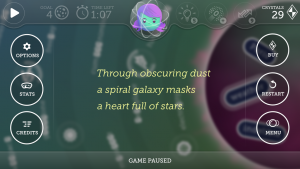 Travel through a galaxy of words in this matching game. Delve into words, definitions, and real-world usage examples. Plant two seed words and watch the connections between them grow. Need customer support? Got a question?